Englewood’s small-town charm attracts people who like a laid-back lifestyle and who enjoy activities on the water. 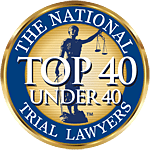 Although four decades of growth has brought significant changes to Associates and Bruce L. Scheiner, Attorneys for the Injured, we remain a family firm at heart – one that is proud to be the leading choice of Englewood residents and visitors when they have been injured in traffic accidents and need aggressive legal representation. Long a popular spot with fishing enthusiasts, Englewood, in southern Sarasota County and northern Charlotte County, is a census-designated place – an unincorporated area. With a 2010 population of 14,863, Englewood actually saw its population decline slightly over the past decade. Nonetheless, the area offers unspoiled beaches, boating, diving, and fishing. For those who prefer land-based activities, Englewood is an attractive community for golfers, providing choice public and private courses. Outdoor living in Florida also attracts motorcyclists, who enjoy weather and scenery that combine for memorable rides. Englewood motorcycle accident attorneys at Associates and Bruce L. Scheiner, Attorneys for the Injured, have spent much of the last four decades as staunch advocates for motorcyclists’ rights. Himself a motorcyclist enthusiast, Mr. Scheiner has led his firm in promoting safety programs and in coming to the aid of motorcyclists who sustain injuries in traffic crashes. Our representation successfully resolves dozens of motorcycle accident cases in Southwest Florida each year. When it comes to automobile crashes, the Englewood accident lawyers at our firm are skilled in handling even the most complex cases. We have a full array of experts to call on: medical professionals, investigative experts, former law enforcement professionals, and others with the specialized know-how that we can access to build a compelling case for you. More than 338,000 drivers are involved in accidents on Florida roads every year. Crashes average about 646 per day. Those figures mean that many people experience injuries that can change their lives, simply because someone chose to drive too fast, while their attention was on a cell-phone conversation, or after they’d had too much to drink. At Associates and Bruce L. Scheiner, Attorneys for the Injured, we are especially committed to aggressive representation for victims of impaired motorists. We feel that pursuing your claim for compensation not only serves your needs, but also helps to see that drunk drivers are held liable for their actions. If we can help remove the menace of drunk driving from Southwest Florida roads, our efforts will be successful. If you’ve been hurt by a drunk driver or if you’ve lost a loved one in an alcohol-related crash, talk with the Englewood personal injury and wrongful death lawyers at our firm. We’ll fight tenaciously for your rights. In Southwest Florida, Associates and Bruce L. Scheiner, Attorneys for the Injured, is a respected name that residents rely on when they need the best in legal representation. Our Englewood personal injury attorneys will evaluate your case at no cost. If we assume the responsibility of representing you, we charge no fees unless we win.